The lighthouse is on Petit Manan Island, about 14 miles from Bar Harbor, and is part of the Petit Manan National Wildlife Sanctuary, which serves over 300 species of nesting birds. Public is not allowed on the island as the birds and marine life are protected there. The lighthouse can be viewed from a distance from Petit Manan Point in Milbridge, reached by a two-mile hike along Shore Trail. Petit Manan Llighthouse was built to help guide mariners around the island, a treacherous bar between the island itself and Petit Manan Point on the shore, and to guide traffic in the bay and harbors nearby in this extremely foggy area outside the Mount Desert (acadia) region. 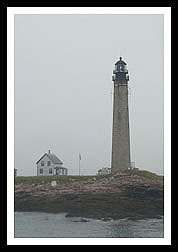 The current tower is the second tallest, next to Boon Island, in Maine. 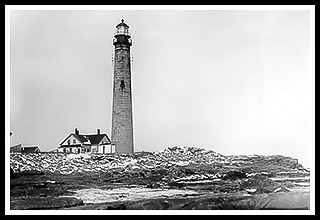 The first Keeper, Robert Leighton, was fired due to the uncleanliness of the structure found from a surprise inspection when he left his wife to look after the lighthouse while he went ashore to gather supplies. The lighthouse tower has been rebuilt numerous times from frequent storms in the 1800’s, and many Keeper’s logs have recorded groups of dead birds that would accumulate in the lantern room or around the tower itself. During a severe storm in 1934, Keeper Edward Pettegrow caught a distress signal from a lobsterman in trouble. The storm got worse and a rescue was impossible. A day and a half later, the lobsterman was feared lost but the keepers caught sight of his boat from the lantern room and sent out a signal for help. Local seaman nearby quickly rescued him, half frozen in ice, but somehow managed to stay barely alive, where he later recovered. The light was automated in 1972. 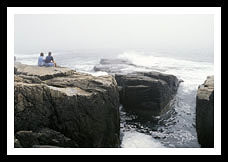 It then became part of the Petit Manan Wildlife Refuge, now part of the Maine Coastal Islands National Wildlife Refuge. 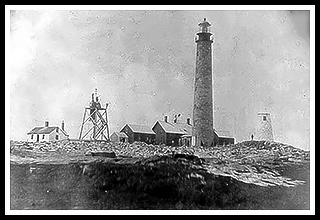 Restoration efforts on the lighthouse and structures have been made since the early 1990’s. Corea is a small fishing village that is about 7 miles from the entrance to Schoodic Peninsula, the only area of Acadia National Park that is located on Maine’s mainland. The rocky peninsula gives visitors a real sense of the ocean's fury watching waves crashing against these formations. Cruises that offer puffin-watching pass by the lighthouse, as it has become one of the sanctuaries of these and other nesting birds. Managed by the Maine Coastal Islands National Wildlife Refuge the island has limited access for visitors, although fairly close views of the lighthouse are easily viewed from a boat. Milbridge offers seventy-five miles of coastline with spectacular views of the Narraguagus River and the Gulf of Maine. Milbridge was once a shipbuilding town and has a historical museum of local history. The Petit Manan Wildlife Sanctuary is an island less than a half-hour from Milbridge, with its nesting area serving over 300 species of birds. Take a picnic down to McClellan Park and enjoy the ocean views, or stroll along the river through Riverside Park, or go fishing. Boat cruises mentioned below offer many types of cruises. While some may offer specific lighthouse cruises that pass by Petit Manan Lighthouse, some will pass by the lighthouse as part of charters, narrated wildlife and historic tours, whale watching adventures, fishing tours, and other types of excursions. Contact info is provided to help you plan your special trips to New England’s shorelines. Enjoy! Lighthouse cruises and nature trips along the shores of downeast Maine and Schoodic Peninsula area aboard a classic downeast lobster boat. Special 4-hour lighthouse cruise covers Narraguagus (Pond Island) Light, Nash Island Light, and Petit Manan Light, along with natural wonders and hauling up a lobster trap. They also offer a Puffin and Seabird Cruise, a Lobster Bake Cruise, and they have a Whale Watching cruise as well. Uses a high-speed catamaran for tours. Very specific boat tours you can enjoy with a minimum of passengers. Flights from a Biplane or glider. Lighthouse tour includes Schoodic Peninsula, the community of Winter Harbor, the Cranberry Islands, Southwest Harbor, Bass Harbor and four area lighthouses. 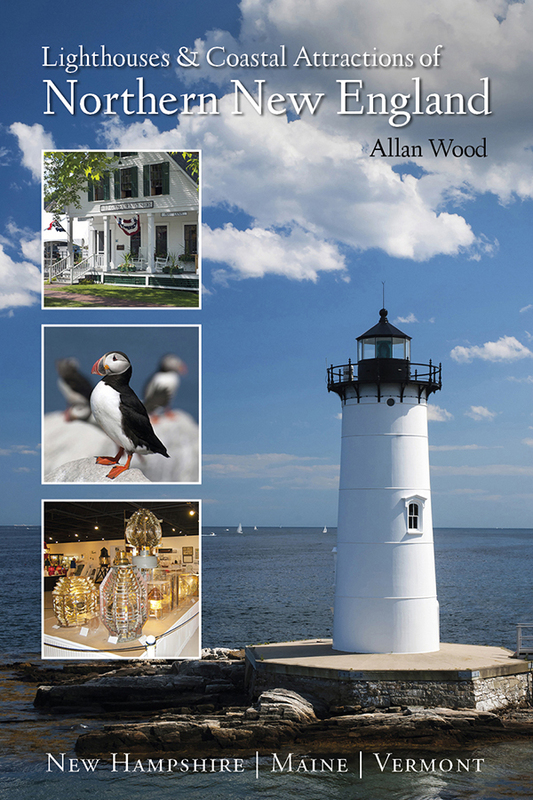 My 300-page book (with over 360 images), Lighthouses and Coastal Attractions of Northern New England: New Hampshire, Maine, and Vermont, provides human interest stories from each of the 76 lighthouses, along with plenty of coastal attractions and tours near each beacon, and contact info to plan your special excursions.